As at Hexham yesterday, the first excitement of the day for those Friends participating in the game at Gosforth was obtaining parking permits to ensure no one left Northumberland with a hefty parking fee to their name. 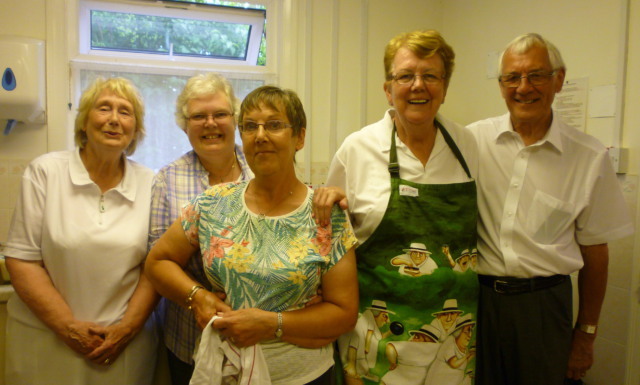 We received a warm welcome from members and it was not long before we were tucking into a super buffet, prepared by the Ladies with some “Friends” even participating in a tipple. This was not the sort of pre-game preparation expected from highly tuned athletes! President Michael Povey of the Gosforth Club welcomed the visitors to the green and once he and Captain of the Day, Kay Kerley, had exchanged the normal pleasantries it was time to commence play. By 5 ends the Friends trailed by 7 shots with most of us caught out by the speed of the green, which is used by Northumberland for Middleton Cup games. On a hot day, with temperatures touching 24C, it looked like being a long afternoon. By 10 ends the deficit was still 5 shots but gradually the Friends got their act together and after a closely fought game, with some excellent bowling on both sides, a late surge saw the Friends triumph by !25 shots to 90. Following the game, the club provided us with an excellent two course meal which was followed by the customary speeches. President Michael, in formally welcoming the Friends, noted that team had been drawn from 10 different counties and thanked people for travelling very long distances. He expressed the hope that the Friends would visit Northumberland again in the near future and warned us to expect a reaction on the green. 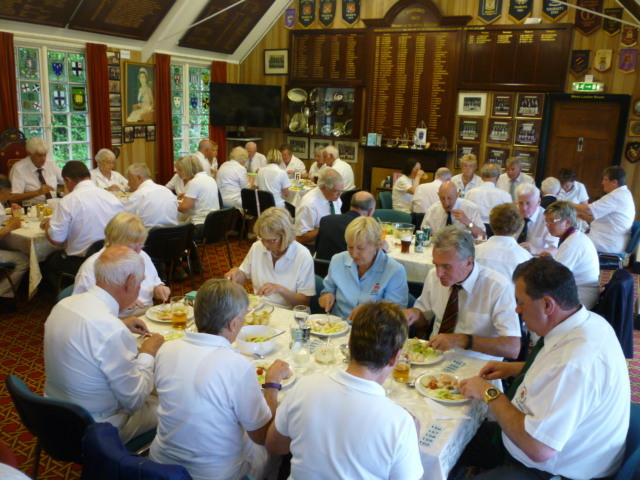 Responding, Kay Kerley thanked everyone at the club for making us so welcome, paying particular thanks to the Greenkeeper and to the catering and bar volunteers. She presented prizes to the highest winning rinks on both sides. For Gosforth – R Johnson, Y Mallaburn, F Woods and B Duell; For The Friends – Carolyn Hunt, Eileen Taylor, John Colley and Bill Vivers. 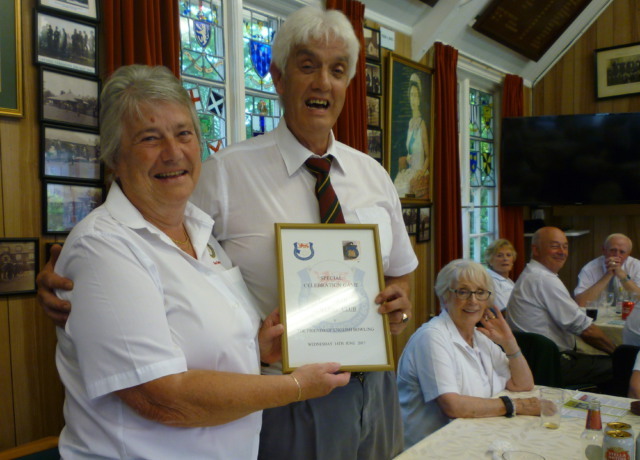 Kay then gave all present a brief outline of the history and reasons for the existence of the Friends of English Bowling before presenting to President Michael a certificate commemorating the Friends visit.